South Korean pop group BTS, also known as the Bangtan Boys, broke U.S. singer and songwriter Taylor Swift's record for the biggest video debut on YouTube after getting over 45 million views in the first 24 hours of its release. The boyband last week shared the official video of their new single "Idol" alongside an alternative remix with Nicki Minaj to promote the release of their latest album "Love Yourself: Answer." According to Billboard, BTS' video for "Idol" surpassed Swift's "Look What You Made Me Do," which got 43.2 million views in August 2017. Meanwhile, YouTube congratulated the world famous K-Pop group with a message on its official Twitter account, confirming the new record for the biggest music video debut in the video-sharing website's history. As of Wednesday, the video for 'Idol' has been viewed more than 102 million times. The news of BTS' record was also celebrated among the group's strong fan base in Turkey with congratulatory messages on various fan sites. The pop group debuted in 2013 and consists of V, Jimin, Jin, Suga, Jungkook, RM and J-Hope. The boyband enjoys huge worldwide success and has won several international music awards. 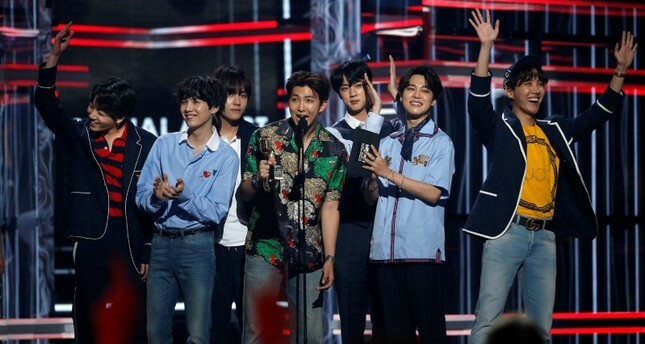 BTS also received the title as the most tweeted about celebrity in 2017 and became the first ever Korean act to get the first place on Billboard's top 200 album chart.